It isn’t always easy to tell if you are suffering from hearing loss, so here are some of the signs. Hearing loss is a very common problem, but it is often an overlooked one. A person may not always be able to tell if they are suffering from hearing loss because it may just be what they are used to. Here are five signs that you may be suffering from hearing loss. Our ability to process multiple signals fades as we get older, but it can also be a sign of hearing loss as well. If you notice that everytime you are involved in a multi-person conversation, you find it hard to keep up with what everyone is saying, you may want to get a hearing test done. When you watch T.V, it is normal to want to crank the volume up so that you can hear it clearly, especially if a good movie is on. However, if every time you watch television, someone in your household complains that it’s too loud, you could be suffering from hearing loss. If you need the T.V to be up really loud in order to hear at all, then it is a cause for concern. It is often hard for anyone to hear in a crowded, noisy environment. If you are suffering from hearing loss, however, it can be especially hard for you to focus on the people that are talking directly to you. People that suffer from hearing loss often have difficulty blocking out background noise and focusing in on one conversation. 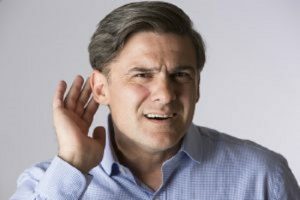 Another sign that you may be suffering from hearing loss is if you are constantly misunderstanding what people are saying to you. It’s normal to occasionally misinterpret what a person is saying, but when it comes a consistent issue, it may be time for a hearing evaluation. Some types of hearing loss will only impact certain frequencies, generally the higher pitched ones. Because of this, if you are losing your hearing, you may find that it’s harder for you to hear women and children since their voices are higher pitched. If you find that you can hear men clearly, but struggle to hear women and children, you may be suffering from hearing loss. This entry was posted on Wednesday, September 19th, 2018 at 4:27 pm. Both comments and pings are currently closed.